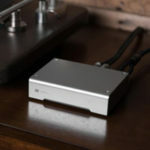 After reviewing the Gini iTube from Audio Space, a product I purchased for one of the upstairs bedrooms, I asked if I could review one of their integrated amps with a built in USB DAC. The answer came in the form of the Audio Space Mini Galaxy 1. From first glance, I knew there was no way I’d turn down reviewing it. I mean, how could I refuse anything so cute and built with such quality? 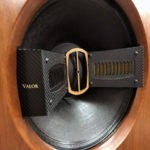 Everything I’ve seen from the Hong Kong-based Audio Space/Gini Company speaks quality in spades. Add to that the fact that they have been manufacturing vacuum tube audio equipment for over 10 years. From what I can read, they have a good reputation over those 10-year even if they are just starting to be heard here in America. CUTE!!! The Mini-Galaxy 1 is a white and gray, diminutive two-piece integrated amp that is just so cute it is hard to take it seriously. Upon opening the box, you even get a pair of white gloves, a lint-free micro-fiber cloth, a pair of extra fuses, and a USB cable. It has plenty of features, including the USB DAC I asked for. The tiny onboard DAC uses a Burr Brown PCM 2702 44.1/48kHz chip. Admittedly nothing special here, but all you can expect for the price point. The Mini-Galaxy 1 has two source inputs and it also has a headphone output, and a big knob to adjust negative feedback. The Mini-Galaxy 1’s power output is rated at 12 watts of what they refer to as “Ultralinear Class A/B”. It is a simple EL84 push-pull power amp that uses a separate power supply with a nice, hefty toroidal transformer. 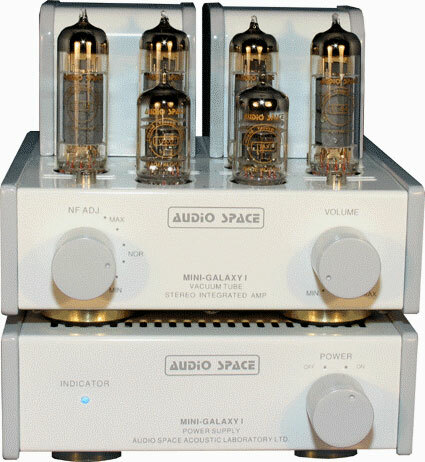 The tube complement consists of a pair of 12AX7’s and four EL84’s all with Audio Space logos on them. 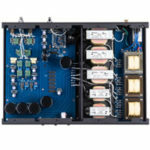 The amp is equipped with a nice auto-biasing circuit that makes it very user-friendly for a tube amp. All the internal wiring is point-to-point. As I would discover, it also is a very nice headphone amp. When you look at the front panel, you see a nice pair of well-made, grey metal knobs. The one on the right is for volume, and the control knob on the left allows the user to select the amount of negative feedback the amp uses. The grey and white along with the tubes above them make a very modern look. It looks really great sitting next to my iMac. The white and grey power supply has one matching grey knob to turn the power on and off with. The rear panel of the amp is pretty crowed, but well laid out. It is a lot to put in such a small place. From left to right: the USB input, two sets of gold plated RCA inputs, a BNC type connector for the umbilical cord to the power supply, with a small toggle for source selection just above the BNC connector, and two hefty gold-plated metal 5-way binding posts with a quarter-inch headphone jack in between them. You connect the two with a 450mm locking umbilical cord. The power supply connects to the wall outlet by the way of a rear-mounted IEC and comes with a generic AC cable. Before I go any further, I just want to compliment Audio Space on how nicely their products are finished. The look and feel of all their products would put many mid-priced audio products to shame. At first I simply did something very unfair. I turned off my Wavac and took it of the system. I then plugged in the Mini-Galaxy 1 and connected it to the VSEI Level 5+ Sony SCD 777ES. We’ll talk about the sound, but this is how easy it is to set up as a straightforward integrated amp. Setting it up like that does not let you use the USB DAC though. The second setup was in the main system using the USB DAC hooked up to my iBook. This is easy but required a USB cable run from my iBook to the Mini-Galaxy. A very successful setup was upstairs in the computer room. Here it was hooked up to an iMac and used as a headphone amp. This combination is a real winner. This was a last minute thought and turned out to be the most successful of all the setups. I pulled the amp and thus the sub also out of the iTube setup in the upstairs system. This meant that all I was using was the single driver mini monitors from the iTube. The two sources were a Mac Powerbook and a Direct TV satellite box. After sufficient warm-up, I begin listening to the Mini-Galaxy 1. It’s pretty quiet electrically and mechanically, but compared to the Wavac, there is some noise. There is both a slight transformer hum from the amp itself, as well as some hum you can hear from the speakers and even the headphones. The hum was never loud enough to be heard when listening to music but it could be heard between songs. EL84 tubes have been at the heart of two of my favorite amps. I owned a pair of stereo Beard amps that put out 35 watts per channel and had eight EL84’s per channel. The other amp is the Shindo Montille that produces 15 watts per channel from four Mullard EL84’s. To be fair, these amps both operate in pure Class A and cost three to six times as much. Maybe my love of these two amps led me to expect too much from the little Mini-Galaxy 1. When playing music over the Galaxy-Mini 1, it sounded for the most part like I expected an EL84 amp to sound. It had nice grain-free highs that sounded pretty and smooth. The detail of the midrange wasn’t world class, but what it did wrong were sins of omission. It had no grain, glare, and only a little extra warmth. Where it differed most from the Beard and Montille was in scale, weight, bloom, layering, and frequency extension. The bass was nice and tight and fairly deep, but it was not explosive. Now, don’t take this criticism too harshly, we must not forget price and purpose. I cannot imagine that anyone would buy a $1200 integrated amp with a USB DAC with the purpose of driving a reference system. No, I think Setup 3, with either small speakers or good headphones is more likely. 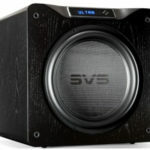 Have said that, this little amp had no trouble driving my speakers or producing enough volume for my reference system within the limitations mentioned above. The Mini-Galaxy had nice Pace, Rhythm, and Timing. It was thoroughly convincing at rendering of spatial cues. It was better than expected in regard to tonality. This is the setup I don’t recommend. The USB DAC is just not refined enough for the reference system, but don’t quit here; for the best is yet to come. These last two setups are the kinds that I think the Mini-Galaxy 1 will most often be purchased for and it is here that it comes into it’s own. When used as a headphone amp for my iMac it was just incredible how good music sounded as I worked at the computer. Listening to the Mini-Galaxy with Grado headphones while I worked at the computer was something I could get use to long term. Most often I work in the listening room while listening to the big rig, but late at night this headphone setup is a real winner. This headphone setup was very easy to listen to even after just listening to a great single ended setup downstairs. This was the setup that surprised me most. When used to replace the amplifier in the iTube system it really brought the little single driver speakers to life. It was amazing there was more and better bass with the Mini-Galaxy 1 even though there was no longer a subwoofer in the system. When driving small single driver speakers the amp had plenty of PRaT and drive. Now the amp was as fun to listen too as it was cute to look at. This system could really make you pat your foot. It had a nice soundstage and a very natural sound. The midrange was clear and detailed. The bass was quick and had a very nice beat. In the end the Mini Galaxy 1 is not a giant killer, but a product that really performs well in its intended place. It plays music well from a hard drive system and most of its mistakes are mistakes of omission not commission which almost always sounds better than the other way around. I think most people looking for a computer based system for their office or bedroom will be very happy with the Mini Galaxy 1. I know I am and I listen to a pretty awesome reference system downstairs.